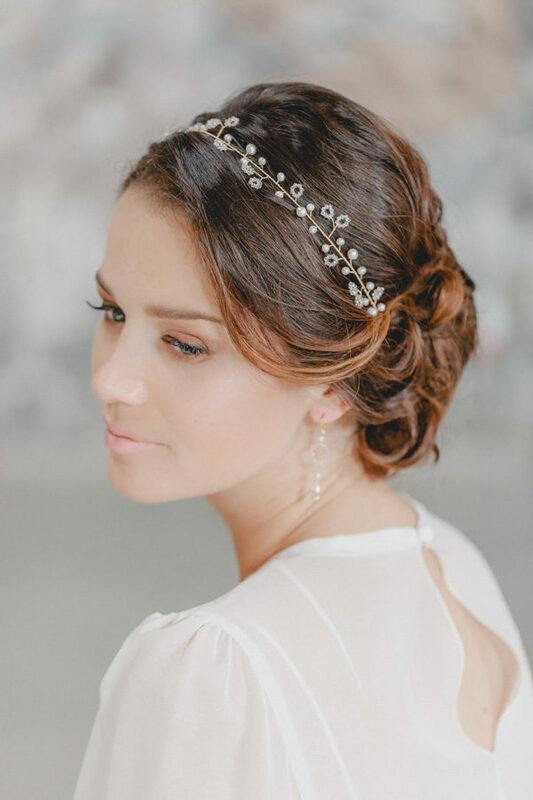 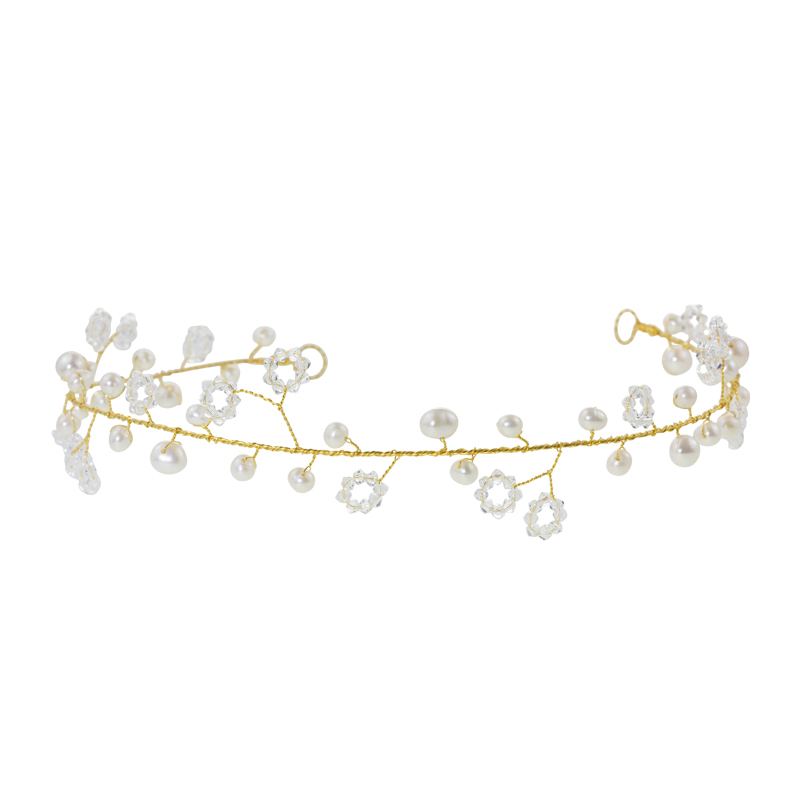 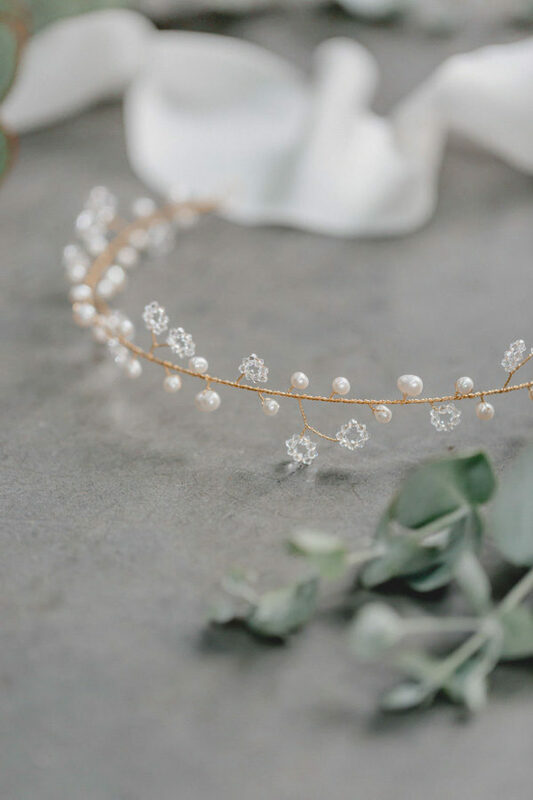 Reminiscent of a classic floral wreath, subtle pearls alternate with circularly arranged Swarovski crystals in this filigree crafted headpiece, shining like delicate little flowers in the hair of the bride. 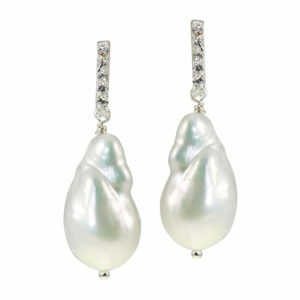 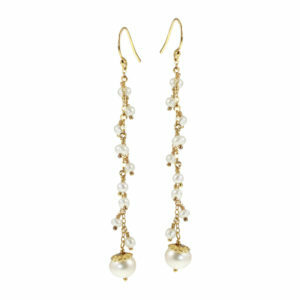 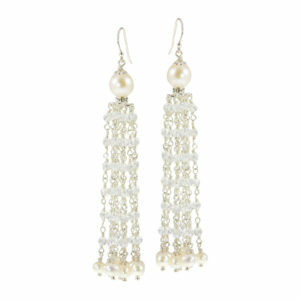 A jewel with which the bride naturally feels beautiful and feminine. 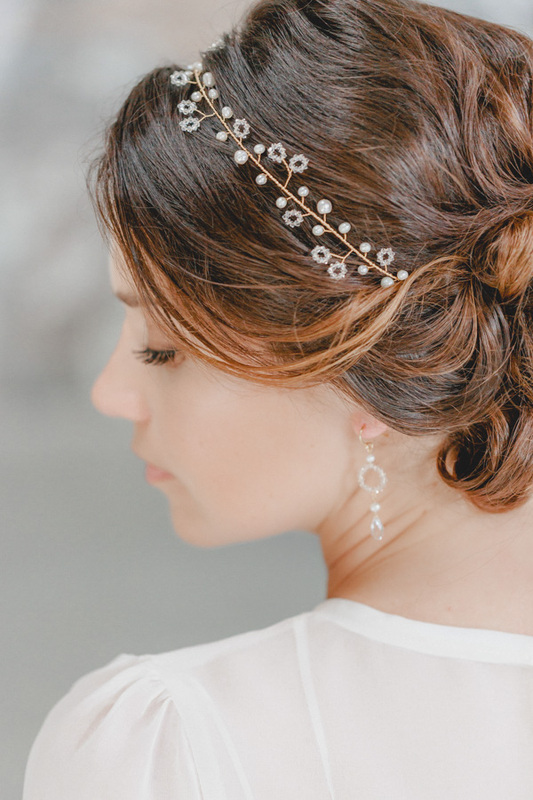 From a civil ceremony to a boisterous party on the dance floor, this hair accessory makes all the difference and, depending on the hairstyle, can be flexibly worked into the hair with hairpins or silk ribbons that can be individually adjusted. 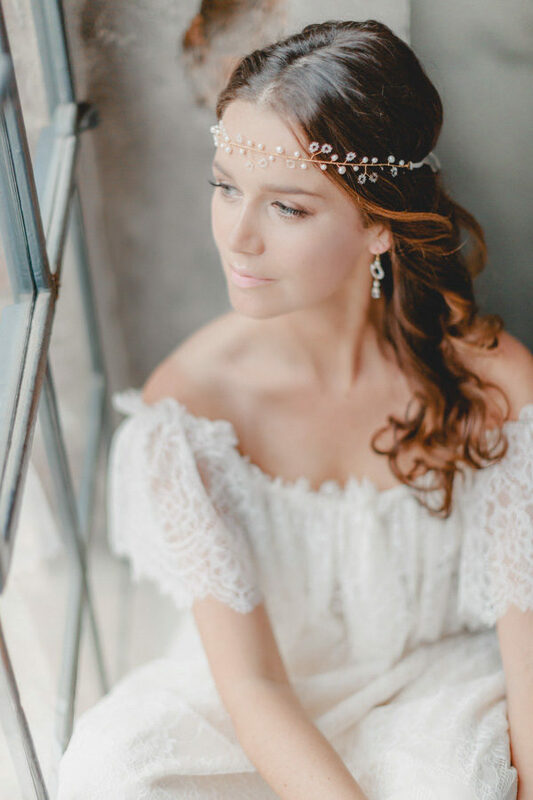 Its feminine yet understated elegance makes it the perfect companion for any bridal gown, but is particularly well-suited to classically elegant or romantic boho looks.